The web design world is so versatile and fast-changing that you need to be alert and open to new horizons in order to keep up with it. Website redesign is something we all have noticed on even the most used and popular sites, known by Internet users from all over the world. Sometimes we tend to resist to those changes first, and then we get used to them and realize they were for the best. 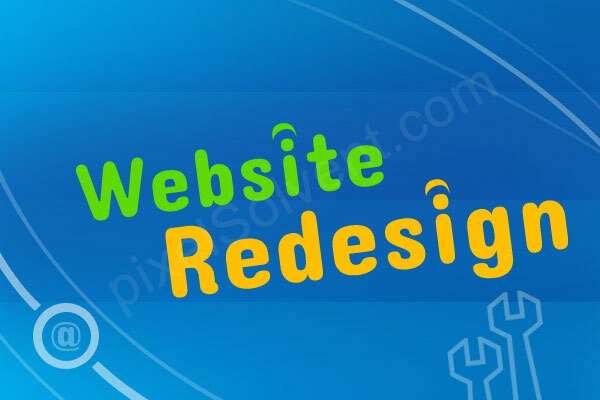 Redesigning could mean improving your website in terms of functionality and keeping many elements of its identity or, on the contrary, starting from scratch and coming up with something 100% fresh. Anyhow, a good redesign is a proof of an innovative spirit and will often attract more visitors; still, redesigning must be done cleverly and after evaluating the strengths and the weaknesses of the previous website. You may lose some good features if you hurry and become too excited with the wind of change. So what should you consider when having in mind a more beautiful web design? Ask your client to clearly give you instructions on the changes that will be performed. There are some elements of the brand which need to be kept unchanged, while it is also possible for some new directions in the marketing or public relations strategy to have appeared and of which you were not aware of. 2. Do I need to change the entire visual identity of the site? Sometimes you may have to, while, at other times, the site may be well-structured from the visual point of view and just need a little touch of color. No matter how brilliant your ideas are, you need to adapt to the possibilities which the server hosting the website offers you (such as type of coding). 4. Is the client open to innovations? There are people who, once they learn one way of solving problems, reject any new approach. Make sure the CMS you want to implement will be agreed by the website administrator. 5. What will happen to the old data? Is it worth or profitable to move the data from a directory-type website? Can you ensure migration of data or will it have to be performed manually afterwards? 6. Will the website redesign bring more profits to the clients? No one spends money on redesign just for the sake of it or because they don’t have other ideas for investing that money. Make sure that the new website will add value to the business and attract more visitors and more profit. 7. How much of the old code will you change? If the website is small, maybe it’s better to start from zero and forget about the previous codes. When redesigning the user interface, find out what devices do the visitors use when viewing your website. It is crucial to develop interfaces which match different users: desktop, smartphone or tablet users. Discuss with the client in order to find out which parts of the site need to be enhanced and which are less important. Ensure you have access to source files. This rarely happens, unfortunately, so you will need to make do with the finished site. It would be a disaster if the new website will be less SEO friendly, no matter how great it might look. A beautiful web design which can’t be tracked by search engines is equal to zero. If there are advantages of shifting to newer technologies, don’t think twice. Innovation is a must, just do it rationally and keep in mind the pieces of advice from above.